Welcome to the German WASH Network website. The triad “WA-S-H” stands for water, sanitation and hygiene. 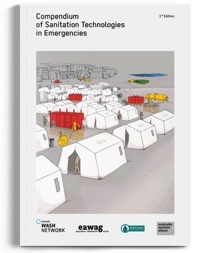 Recently twenty German non-governmental organisations (NGOs) involved in emergency- and transitional aid, and in international development cooperation formed the German WASH Network. Together we want to contribute towards solving one of the biggest problems of the 21st Century: Globally 2.1 billion people have no access to safe drinking water and 4.5 billion have to live without safely managed sanitation. This is unacceptable. Although one of the primary aims of the network is joint advocacy and public relations it is also an effort to further professionalisation through the continuous exchange of knowledge and through improved integration of emergency- and transitional aid and development cooperation. Since its foundation, the WASH network has been working closely with the umbrealla organisation of developmental non-governmental organisations (NGOs), to heighten the impact of our political engagement and to reinforce our voice in politics and the public. Who are the members of the German WASH network? Find the WASH network on Facebook and become a fan!